ATV – Off Road Fun! Prime July Openings – Book Now and Save! This is not a fake! Sometimes there are no words for the beauty of creation! 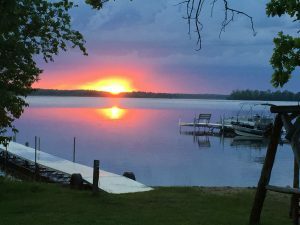 Minnesota summer vacation season is well underway at Wildwood Resort! We have kids laughing on the playground and playing in the lake on the SUPs and hydro-bikes. We’ve kicked off Monday night potlucks and twice weekly kids’ activities. 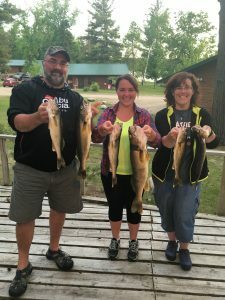 The fish are biting (especially the walleye) and the sun is shining (most days) so we are in our happy place! Traditionally we have few July openings. However, as families get busier the vacation planning gets more spur-of-the-moment! If you haven’t yet planned something for July I’m happy to tell you that it’s not too late. 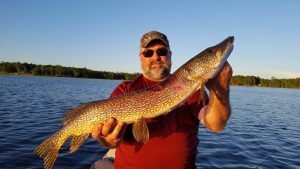 We had a last minute cancellation that opened up Tamarack Lodge for the week of July 1st and White Oak Lodge & White Pine Lodge for the week of July 8th. Book a 1 week stay in any of those cabins in either of those weeks and save $1000! We will also take nightly stays for $300/night. (Minimum of 3 nights) We have Aspen Lodge open the weeks of July 22nd and July 29th. Aspen Lodge is rarely open and definitely not in the summer so take advantage of the opportunity to spend prime summer vacation weeks in our most popular cabin! Check out our Hot Deals on the Rates page for more information. 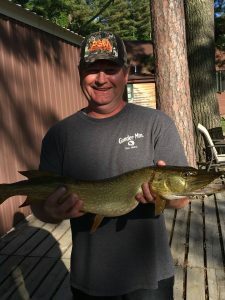 The walleye bite has been really good on Bass Lake for the last 2 weeks or so. We’ve seen some big fish! 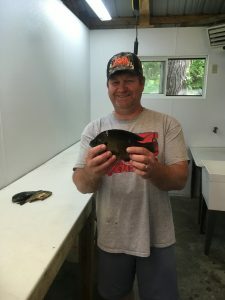 The sunny bite has also been good and they spawned out this year so that’s a plus. There have been years in recent history when they didn’t spawn and we hate to see that. Northern have been active and we’ve seen some nice largemouth bass. Overall, the bite has been really good! 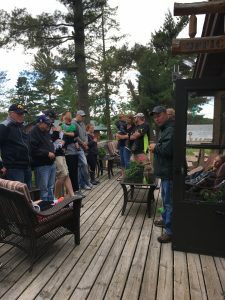 Even if you don’t end up staying at Wildwood Resort this summer I encourage you to look into a Minnesota family resort vacation. A good friend and long-time guest just gave us a beautiful sign that reads: “The days are long but the years are short.” While the sign means to say something meaningful about the passage of a time it also is a pretty darn accurate family vacation wish: May your days on vacation be long and the year in between them short! See ya on the lake! 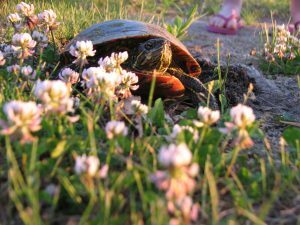 We have several painted turtles that lay eggs on the resort each spring. 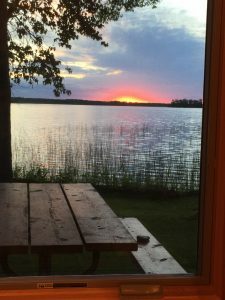 This Bass Lake sunset was captured from inside Aspen Lodge. What a view! Our potlucks are a wonderful opportunity to get reacquainted over AMAZING food! 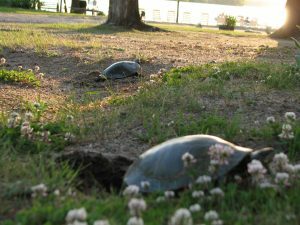 We had a two-fer this year with two mama turtles laying eggs at the same time in front of the Lodge. 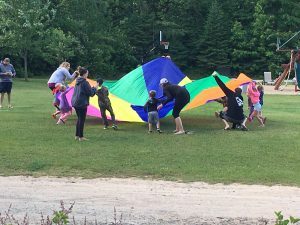 We have lots of firsts at Wildwood Resort. 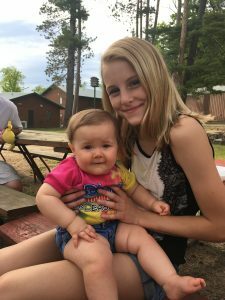 This picture was taken at this sweet girl’s first Wildwood potluck! Ice, Ice Baby! Are You Ready to Ice Fish?! Wildwood Resort All Rights Reserved.